601 Series Ladder Snake Full Depth. 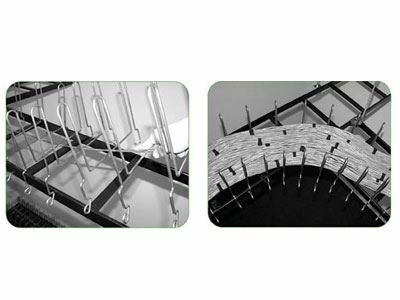 Cable Management Solutions' bendable Snake Tray is manufactured from ASTM A510 - High strength steel wire, to form a unique, completely hand bendable cable management system. Welding pre-formed steel hoops to a central 5/16” spin every four inches products Snake Tray, allowing for its unique hand bendable design, while providing easy entry and exit for cable at any point along the length of the tray. The trays are constructed from pre-galvanized wire in accordance with ASTM standards to product a resilient finish, which withstands most indoor applications, or mild sheltered outdoor environments. Snake Tray is products in standard eight foot sections and with its unique high density nesting characteristics allow for more tray to be shipped in less space than our competitors, thus reducing shipping costs and on-site storage requirements.The 601 Series Ladder Snake is designed for installation on traditional ladder trays. Two styles of tray are available, one installs on new ladder tray increasing the cable carrying capacity of the tray and the other installs on existing ladder creating a second cable path above the legacy cable. The Ladder Snake offers up to 54 square inches of pathway and can accommodate up to 560 Datacomm cables at the prescribed NEC require 50% fill. As with all Snake Tray products, the 601 Series center spine is hand bendable, no clipping, cutting or tool required.